Sunstone is a stone of leadership, personal power, Independence, freedom and expanded consciousness, truly reflecting the qualities of light. Sunstone brings openness, benevolence, warmth, strength and mental clarity. Sunstone provides a source of strength, especially if you are dependent on others emotionally, or have suffered the sudden loss of a partner. It helps alleviate fearfulness and stress, and protects against those who drain your energies or finances. This stone assists in increasing personal power and will, as well as life force energy. Sunstone also dispels fears and phobias of all kinds and is used to decrease stress and lift depression. The nail polish was beautifully packaged and sent with a packet of tea. This is a great seller and product. 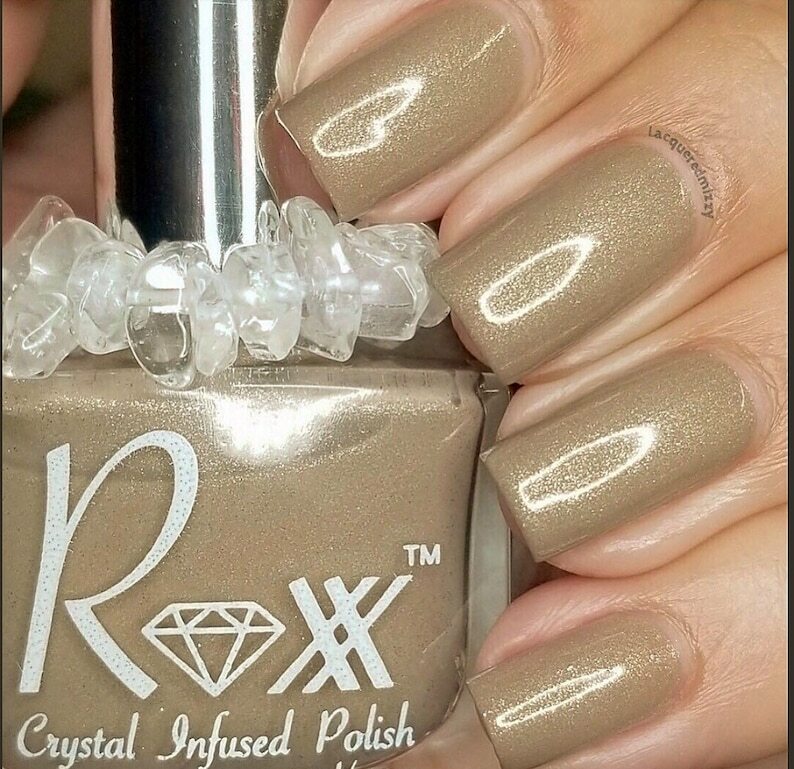 These infused crystal nail polishes are so wonderful!! They look very nice on my nails. Beautiful nail color and fast shipping. Thank you for the lip balm. These polishes are excellent! Not only are they super packed with energy, but they come in great colors and the polish itself is very good quality. It looks great with just one coat but even better with two, and it dries very quickly. I often use my fingernails as tools, and my polish stayed on for a week and a half without chipping! It comes off easily too. The packaging is adorable too- perfect for gifts!- each bottle comes in an organdy bag with a crystal “necklace” to keep the polish charged. DEFINITELY recommend!! !